Should you continue investing in Kinder Morgan (KMI) or run away? If you are a dividend investor you may be invested in Kinder Morgan (KMI) as I am and you are desperately searching the internet for news about this company to find out why it was falling recently while scared that you may lose your hard earned money. Kinder Morgan lost almost 40% from its peak and quite lot of people have gloomy prediction about this company. Analysts started downgrading the company and even Moody’s rating agency joined the group and lowered rating of Kinder Morgan. When I pick a company to invest in I try to select one in which I can believe for the next 20 years without too much worrying about the stock and studying it anytime it goes down in price. However, the recent drop made me to check what’s going on with this stock. So I searched internet and found so many people scared and predicting end of the titan. I have seen even experienced dividend growth stock investors bailing on this stock or being ready to jump the boat. Although these investors have the right to do what they want and see fit to their portfolio, I disagree with those who pushed the sell button and run away from KMI. Here are my reasons for staying invested and even accumulate this stock. First, let’s see why people were so negative about this stock. What I could find was two main areas of discontent. 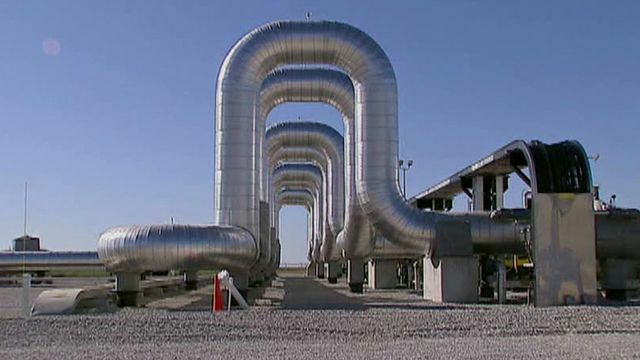 Kinder Morgan acquired a stake in Natural Gas Pipeline Company some time ago and recently they increased their investment in the company (NGPL). Many consider this a bad acquisition and investment because NGPL was a bankrupting company. Some say, KMI overpaid for the company. I disagree with this view. Although, I am not an expert but considering that KMI is primarily a transporting company involved in natural gas, this was a natural result of capitalist behavior – taking over a weaker company and their infrastructure which under a new stewardship will prosper. Don’t we see that over and over happening? Even A New England wire and Cable company was taken over because it was weak and making no money! It was more worth dead than alive. NGLP is more worth when navigated by Kinder than on its own. Moreover, by acquiring NGLP Morgan gained access to locations and areas which would allow the company to better arbitrage and deliver natural gas to places where they can better profit from it. I think this is a big misconception and misunderstanding of how Kinder Morgan makes money. This company is not involved in production of oil whatsoever. The company is involved in its transportation. It is an oil UPS version. So, no matter what the price of oil is the company would be making money. While other oil involved companies were losing money (almost the entire 2015) KMI remained profitable showing $186 million profit during the third quarter on $3.7 billion in revenue. So KMI is exposed to oil indirectly and its price doesn’t influence the company. As long as people will need and use oil, KMI will make money on it. However, majority of the business is in natural gas. Recently KMI followers and analysts expressed their belief that the management should consider a dividend cut although the financial reports indicate that they can easily cover the dividend. I have seen investors claiming dividend unsustainability of companies for many years. A good examples are Realty Income (O) or AT&T (T) when investors claimed that those companies would cut the dividend soon. I have heard them saying this for many years, yet both companies managed to pay dividends for 40 or more years and increasing it for a similar amount of consecutive years. Yet the analysts caused a big panic among investors and they sold the stock pushing its price to $16 a share. Is this justified? The 2016 dividend obligations are expected to be at approx. $4.55 billion, with current cash flow KMI should have $450 million in excess cash flow and $705 million in cash reserves. The dividend is secured at least for 2016. Even if they cut the dividend and the price drops lower, I will continue investing in KMI as I will show later. You may do whatever you want, but I stay the course, keep the company, reinvest dividends into the company, and even put more capital in it. Why? As I mentioned above I do not think that this crisis is anything KMI wouldn’t sustain. In the past, I have seen companies being bashed, downgraded, predicted to bankrupt and yet they survived. One example is Johnson & Johnson (JNJ) which a couple of years ago had a significant products recall hurting company’s revenue, cash flow, and profits. Analysts and investors were predicting an end of JNJ, being spun off into several smaller companies and the losing one either sold or dissolved. The dividend was predicted to be cut or even suspended. Any of it happened and JNJ which fell hard in price now doubled and its dividend continued growing. KMI is now compared to another Enron and bankruptcy is predicted. Such comparison is obviously ridiculous and shows that the investor making such comparison has no understanding of KMI business. There is however, one big issue why I stay the course (and which goes to the JNJ example a few years ago): consider your investment time frame. Are you invested in this company for the next two to five years? Are you already retired? Or are you at the beginning having the next 20 to 25 years ahead of you? If you are a retiree, a portfolio adjustment can make sense. To me, it doesn’t make sense at all. I started investing in this company three years ago, accumulating slowly, and reinvesting dividends into it. I believe in this company and its management and I am in it for the next 20 or 25 years. I believe, that five years from now, this crisis will be forgotten. So, even if KMI cuts its dividend, I will continue investing in it and reinvesting dividends because once this panic and “crisis” is over, the stock price will be going up again and all I miss on dividends now I will make in capital appreciation later. Even if it takes two or more years to wait. I have a plenty of time. And in the meantime, I believe, KMI will start raising the dividend again. What do you think about KMI? Are you bailing out or going to weather this panic? From my trading experience, trading SPX I can see what the market can do when it is in a panic. It can recover as quickly as it fell down. Since the price action of KMI is a panic reaction, five years from now, nobody will remember this the same way as no one remembers JNJ crisis anymore. I agree. Despite the dividend cut and price drop I still think it is a good company to hold, so I keep holding it. Your saying that KM is not involved in oil production whatsoever is a false statement. KM owns and operates one of the largest oil fields in the nation located in Texas. They also own other oil fields in West Texas and OK. They are not just impacted indirectly by oil prices. I know this for fact because I work for KM in a West Texas oil field. If you are saying that I lie and spread false statements about KMI then it is KMI which lies about their own operation as I only use what they say about themselves even on their own website. KMI clearly states that they are “the largest energy infrastructure” company and that they own and operate 84,000 miles of oil pipelines, 180 terminals. There is nowhere ever stated that they are involved in oil or nat-gas extraction nor refinery. So, if you work in one of their fields, and it is really an extraction field and not just one of their transportation terminals, then it is a very minor segment of their business which is so small that they do not even bother to mention it on their own website. So the core of their business is in energy transportation and thus not directly tied to oil prices (which obviously many fail to understand). I recently purchased 7500 shares of KMI. It is in a IRA account and it will be 8 years before I will even have to take a withdrawal. My cost average at the moment is 16.75 a share. This company did cut the dividend 75% but even at that I can still make a 3% dividend return on my investment. The way the stock has been beat up is unreal. They are making money no matter how low the price of oil goes. I believe as they have positive earnings call quarter to quarter the stock price will start to recover. The bottom line is nobody likes to see a loss in their investments. But the risk reward with KMI points to the positive in my book. Having a long term timeline is a important thing to consider and can allow you to sleep at night no matter how the overall markets act. If KMI ends up going lower I may add to my position. Times like this are actually a buying opportunity with a company like KMI. Good luck to all my fellow inversors. I agree with you 100%. The cut has been done to preserve their credit rating to still be able to get their hands on cheap loans and continue investing. There is nothing wrong fundamentally with this company. Yes, they extended their books and we can be mad at them for that, but as I wrote, to me, it is n ow a capital gain play. I keep investing and reinvesting dividends to KMI. If you are depending mostly on dividend income and not 4% withdrawal rate, then you do not have to worry about the price of KMI whatsoever. KMI is taking a huge beating now after lowering the dividend by 75%. My cost basis is 38.88 and it would have to go up nearly 150% from today’s close to break even. Since it is held in my Roth (which I can’t access for another 33 years), I guess I’ll just hold on to it and reinvest the dividends. Hopefully as oil recovers, KMI will be able to begin aggressively raising its dividend again. If this was held in a taxable account, I would definitely sell now to lock in the capital loss for tax purposes and then buy it back. In the near term I don’t expect KMI to do much but may continue to temporarily go lower. I guess we’ll see what happens! I was mostly out of the markets in 2008, but was this similar to how that felt, just at a larger scale? I have the exact same situation here. I hold KMI in my ROTH so tax harvesting makes no sense to me either and my cost basis is also around $35 a share. I am not willing to take a loss so I also will continue holding, reinvesting dividends, and maybe even adding more shares to be lowering my cost basis. To me this is no longer a dividend growth stock so I will play it as a dividend growth stock. This stock will recover for sure, but it may take a few years, but as well as you I have time on my side, so I do not mind sitting on it for the next 20 years. I think it may work similar to Bank of America, they too suspended a dividend in 2008 whatsoever and now they started paying it again and will grow it. So we will wait it out. One of my tenets of dividend growth investing is to sell my shares if the dividend is cut or reduced. Neutral or gain and I hold the stocks. I hope KMI holds its dividend rate. I hope they keep their dividend unchanged too. I am fine if they freeze it too. I have been building my position in this stock for a few years and with this drop and a dividend cut it would be totally destroyed, so at least I was evaluating this stock taking in what their core business is and whether that business can sustain the company. And the answer is yes, so if they cut the dividend, I am not selling and taking the loss, I think, selling now is too late already. So I will be looking at the company as a growth stock from that point (dividend cut) on.